If there was ever any question that demand follows LeBron James, it’s been answered. On Sunday, the King agreed to a 4-year, $154 million deal with the Los Angeles Lakers and already, tickets for his Lakers home opener has one of the highest average asking prices of the last decade. James, a 14-time all-star including this past season, has brought at least one NBA title to each of his former teams – the Cleveland Cavaliers (2016) and Miami Heat (2012, 2013). He’s also taken the Cavs to the last four consecutive NBA Finals. Los Angeles, which has been rebuilding since before Kobe Bryant’s 2016 retirement, can only hope James will be able to revive the Lakers 1980s glory days, when they won five league championships. According to TicketIQ.com, the average asking price on the secondary market for James’ first Staples Center appearance is $1,761, making it the fourth priciest game since 2010 and the most expensive home opener of the decade. That average asking price sits behind $2,003 for Kobe Bryant’s final home game on April 3, 2016, $1,912 for Game 6 of the NBA Finals and $1,811 for Game 7 of the NBA Finals. Looking back, the average asking price for the home opener is the highest of the decade. The next most expensive was the Lakers 2011 home opener against the Chicago Bulls, which checked in at $492. The next three most expensive home openers settled at less than $400. According to TicketIQ, because the date and opponent for James’ regular-season home opener have not yet been set, current secondary market inventory is speculative and is based on tickets listed by season-ticket holders. James will play his first game at Staples Center on Oct. 2, a preseason match-up against the Denver Nuggets. That game currently has a $447 average asking price on the secondary market and a $115 get-in price. 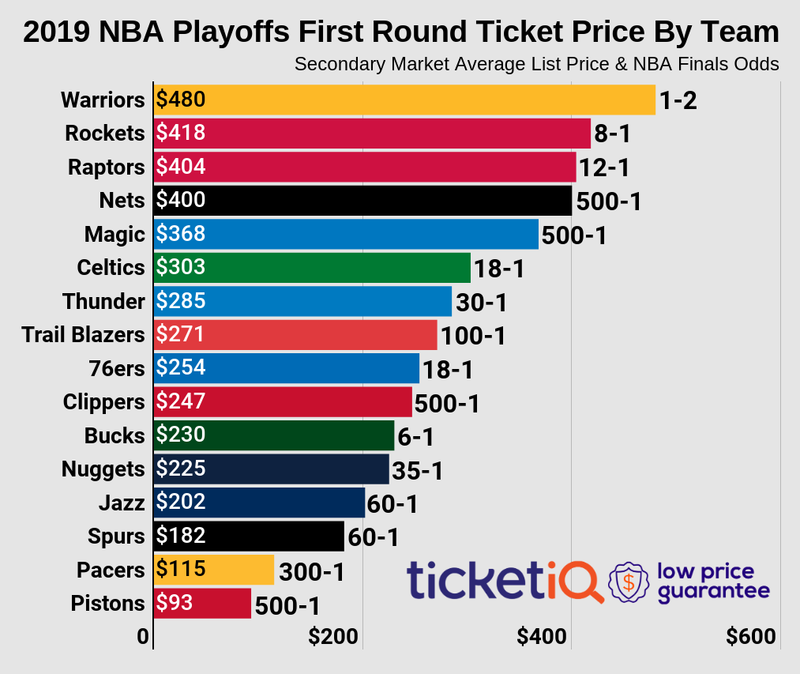 To put those numbers into perspective, last year’s average asking price for a preseason game at Staples Center was $141 with a get-in price of $21. The previous high for a Lakers preseason game was $208. In the preseason, the Lakers will play across California and the West, including games in San Diego and Las Vegas. James’ first two games at Staples Center (the Nuggets game and an Oct. 4 game against Sacramento) have listed get-in of $257 and $232 and carry TicketIQ.com’s Low Price Guarantee. The company has tickets available to other preseason games, including in San Diego on Sept. 30, for as little as $90 and at T-Mobile Arena in Las Vegas for as little as $93.